New Doctor Who Trailer is Glorious! As you’ll see when you watch the trailer, I went for the easy pun there. I’m very excited for the new season of Doctor Who, and Jodie Whittaker in the lead role. 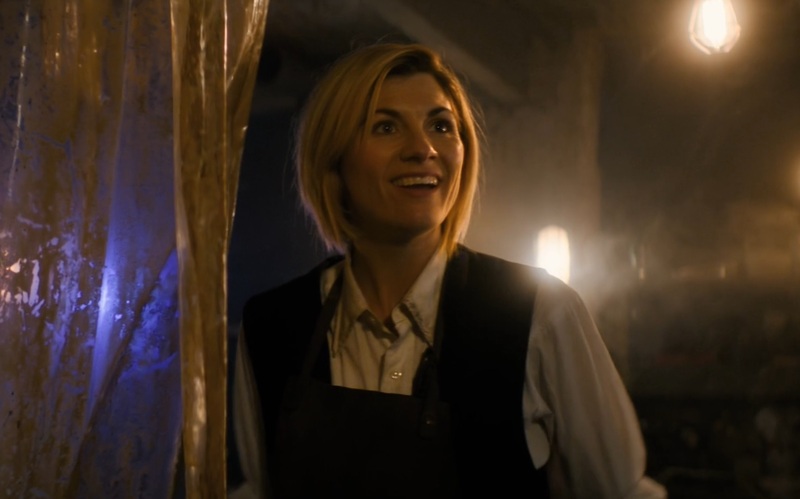 The new trailer gives us a fairly good taste of what she’s going to be like as the Doctor. I like the adventurous feeling of the trailer. The grouchy Peter Capaldi Doctor is gone (and I loved him!). Now we have a younger, more jovial, more adventurous Doctor! And I rather like the idea that she has three companions. I’m curious to see how the four of them come to traveling together. 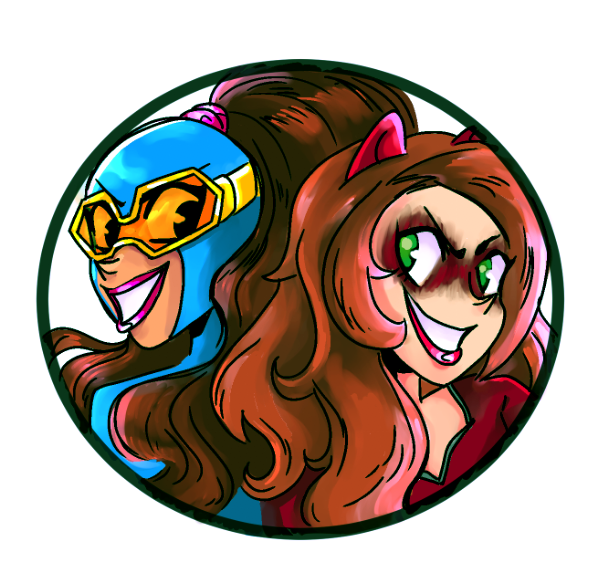 Taking one young sidekick on their adventure of their lives is one thing. How does the Doctor end up with three traveling companions longterm? We’ll find out starting Oct. 7! I am just one man, blogging, while also at my day job. There’s a very good chance I won’t get to everything that comes out this weekend from San Diego Comic-Con. But I can post a new trailer like anybody’s business! And these are a bunch that arrived last night! First up, a proper teaser trailer for the new season of Doctor Who, starring Jodie Whittaker. I like this much better than the quickie we got earlier in the week. We get some actual Doctor in this one, some real personality. Next up is a story trailer for the Spider-Man game coming to Playstation 4 on Sept. 7. Now that I actually own a Playtation 4, I’m actually very excited about this game. So any new look at what we’re going to get is exciting. Even if it still runs the risk of being a bad game. We’ll see. Another trailer we got is a look at the return of Star Wars: The Clone Wars. I quite enjoyed that cartoon, and I guess enough fans did as well that Disney is bringing it back for another batch of brand new episodes! Anything that gives us more Ahsoka Tano is good news to me! Even if the ultimate Ahsoka/Darth Vader showdown already exists. Finally, we got another look at that new Ninja Turtles cartoon, Rise of the Teenage Mutant Ninja Turtles. This first look also provides a couple minutes of actual episode. And I can honestly say I won’t be having anything to do with this show. It looks terrible. That’s not to say I’m one of those bitter fans complaining about how this new show is killing my childhood. Not at all. I’m simply recognizing that this show is not meant for me, and therefore I won’t take part. The animation, the comedy, the entire style of the show is just not for me. But I wish everybody involved the best of luck and I hope their take on the Turtles is successful. Be sure to keep returning to my blog today as I dutifully attempt to upload all of the trailers and news that I either can or care about. 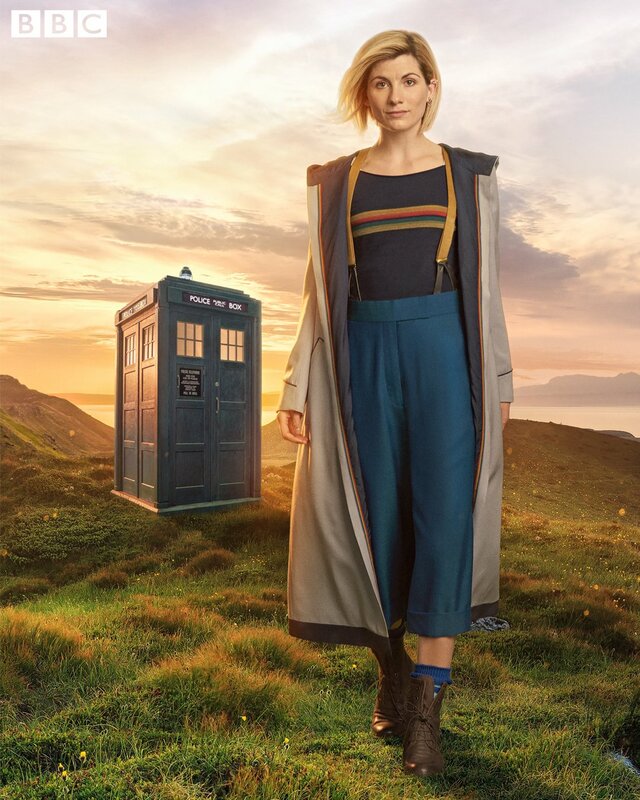 Check Out Jodie Whittaker’s New Doctor Who Duds! The Doctor Who outfit is a very important part of the character, not least of which because it’s going to be cosplayed like nobody’s business! 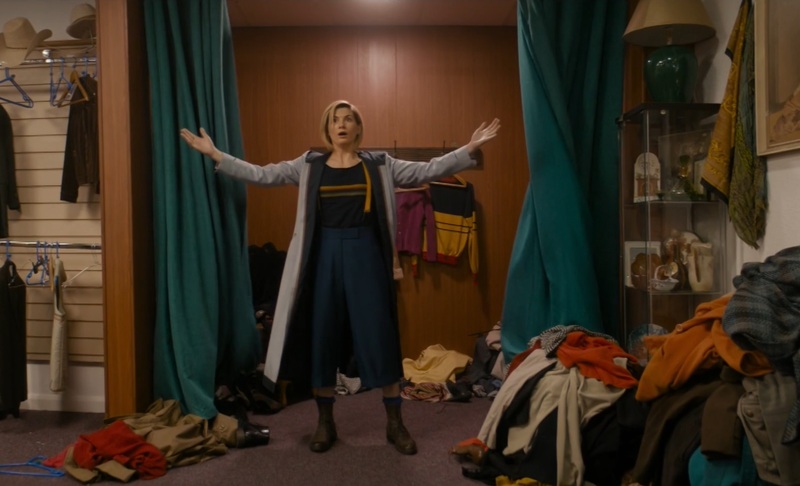 So we’ve all been eagerly awaiting the fashion choices of the first female Doctor, as played by Jodie Whittaker! Don’t get me wrong, I love the idea of a female Doctor and Jodie Whittaker in the role. But suspenders over a T-shirt? With those high-waisted pants? Eehhhhhh. I’ve seen some people online mention that it looks like the sort of outfit a 2,000-year-old man with bad fashion sense who suddenly finds himself having to dress as a woman would put together, and I suppose that makes sense. But it could have been more stylish. I dig the long coat, though. Of course, I loved Peter Capaldi’s initial look, with the suit, the red insides and the Doc Martens, only for his Doctor who rarely ever wear that outfit. I never liked his weird dotted casual shirt. So here’s hoping the 13th Doctor gets some options going forward!